Solar heating for household pools is a trustworthy technology. Water from your pool, after going through your pump and filter, is sent to solar panels and then returned to the pool at a more pleasing temperature. Using the Sun’s power heats your pool without the cost of a gas heater and extends your swimming time by months! The outcome of installing a solar pool heating system from Heliocol is that Spring is no longer the time where you sit around waiting for your pool to warm up. Fall means more weeks for swimming, not pulling out your winter pool cover. And summer is when your family enjoys perfectly pleasant water temperatures. 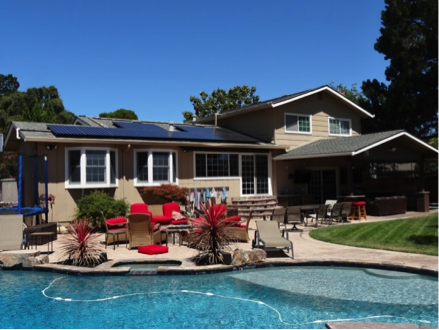 Solar pool heating is a strong, efficient solution that lets your family to appreciate your swimming pool more than ever before! For additional information about solar pool heating in Vacaville connect with Solaron at 916-631-9293.